Building codes are the laws and regulations that specify the way something should be constructed. 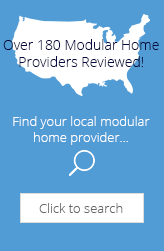 The federal government requires that the HUD building code be used for all mobile/manufactured homes. Modular building construction is regulated at the state and local levels the same way traditional site built homes are. Your modular building contractor should already know the regulations that apply to your project based on the address of the physical building site and the agencies that have jurisdiction over that area. Here is a brief overview of building codes based on state regulations. Remember to check with your state and local agencies to ensure your building will meet or exceed the required building codes and also that you apply for the necessary permits. NY 2007 IBC (modified) 2007 IMC (modified) 2007 IPC (modified) 2005 NEC State Dept. of Labor, Div. Of Safety/Health, License and Certification Unit, 518-457-2735.